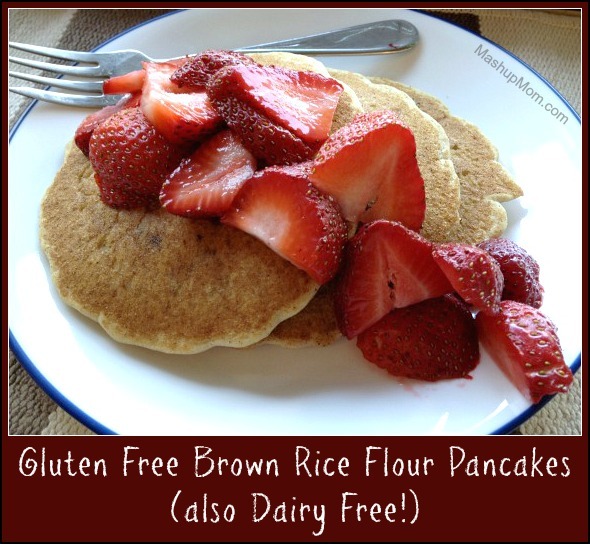 Gluten Free Brown Rice Flour Pancakes -- Also Dairy Free! 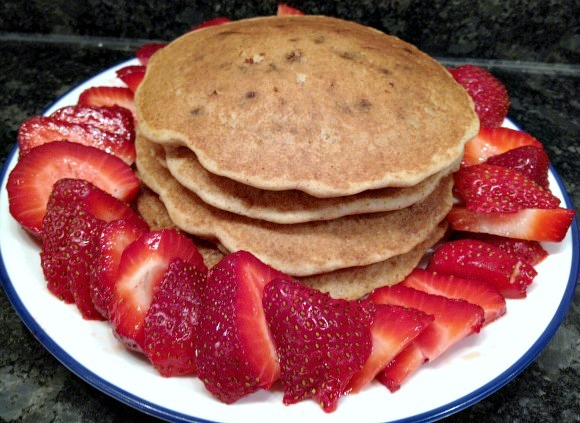 Gluten Free Brown Rice Flour Pancakes — Also Dairy Free! 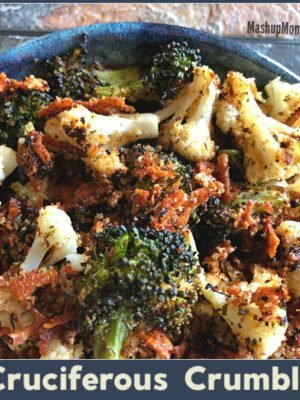 Today’s recipe is a blast from the past! 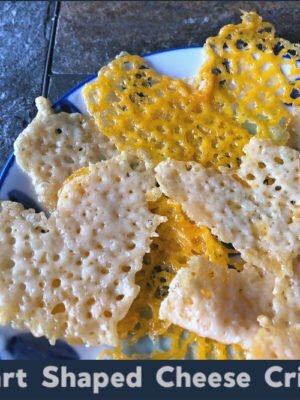 When High School Guy was a mere elementary and middle school guy, he went through a number of years of eating wheat and dairy free before mysteriously outgrowing his food allergies — so I spent some time experimenting with gluten free, dairy free recipes. 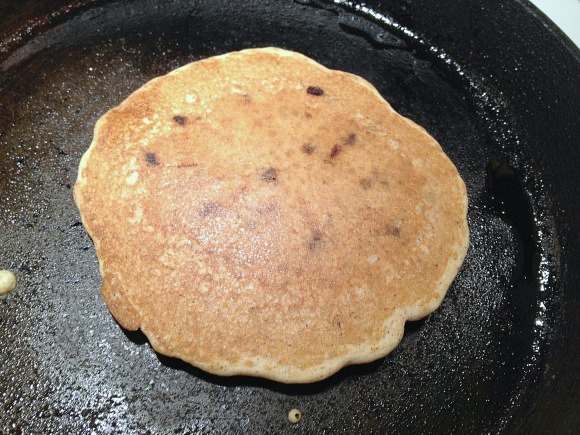 As I was going through some of those old recipes recently, I found this one for Gluten Free Brown Rice Flour Pancakes. These gluten free, dairy free pancakes were always a hit with both boys, making this easy gluten free pancakes recipe a definite keeper. 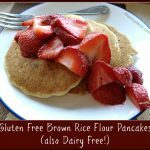 Even when not on sale, brown rice flour is one of your cheapest gluten free flours — making these from-scratch Gluten Free Brown Rice Flour Pancakes a rare affordable gluten free pancake choice. Even better? These tasty gluten free, dairy free pancakes require no Xanthan gum, and this is an easy single flour gluten free pancake recipe! In large bowl, mix together rice flour, sugar, baking powder, salt, and cinnamon. Add egg, oil, vanilla, and vanilla soy milk and mix until well blended. Stir in chocolate chips or blueberries. Spray a cast iron skillet generously with gluten free non-stick spray, or lightly oil with canola or coconut oil. Heat on medium, adding the batter for your first pancake only when the pan is completely hot. 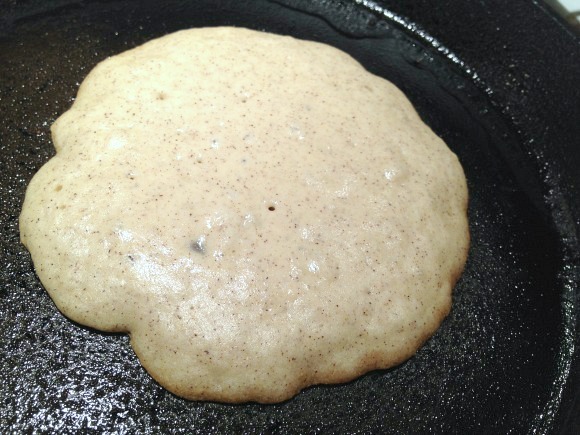 Cook pancake on one side until bubbles begin to form on the top, then flip and cook until pancake is browned on the other side. With syrup, with strawberries, any old way they could get them: Gluten Free Brown Rice Flour Pancakes were a definite hit with both boys; as soon as this batch was gone (and it was gone quickly! ), they were asking me to make more. These pancakes are nice and light, just sweet enough, redolent of vanilla with a hint of cinnamon, slightly crispy on the outside, fluffy on the inside… and with no aftertaste like you sometimes get with alternative gluten free flours. 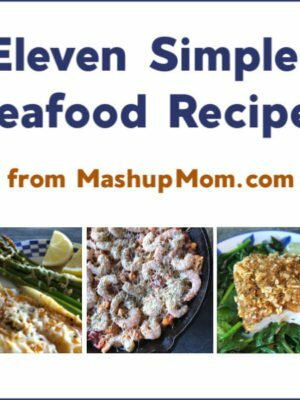 This recipe does not come out right. The pancakes fall apart and they don’t fluff. At all. Waste of ingredients. Sorry you had that experience — I’ve never had them fall apart as you’re describing. Make sure your pan is greased and that you don’t add the pancakes until completely hot; don’t flip until bubbling. 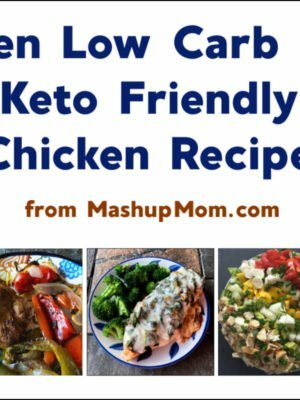 Thank you for making my day with this recipe. My doctor took me off gluten to see if this helps with some health issues. I’ve been feeling down about this — not least because I am (or was) an avid bread baker. Not only are these delicious (they brown beautifully), I already had brown rice flour on hand for flouring bannetons, since it works better than wheat flour for ensuring the bread dough doesn’t stick. It was just really nice that something I used every day in my “old” life can still be re-imagined as the base for these yummy GF pancakes. DH is pleased that they don’t require xanthan gum or anything unfamiliar, so he and our little guys can continue their tradition of Mothers Day pancakes in the morning. You brightened the weekend for all of us! Thank you for sharing! I’m so very glad that the recipe brightened your day, and hope you have a wonderful Mother’s Day. These were very easy to make. They kept their shape when and didn’t fall apart. The only thing is they tasted like baking soda. Next time I will try them with half the amount to see if they turn out better. 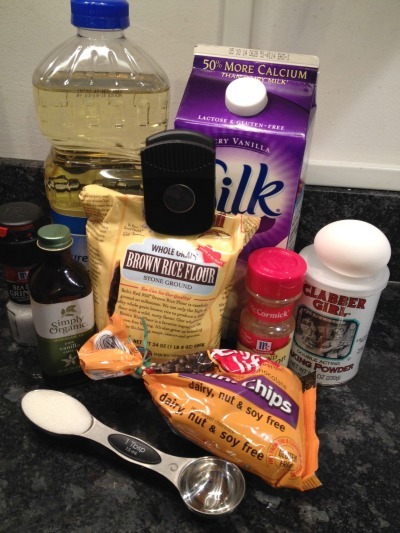 thanks for this easy recipe that is way less expensive than a prepared gluten free p.c. mix. I omitted sugar & chips and they still taste good. They tend to not stick to the wrought iron without the sugar. I put slices of cheddar cheese on mine while they’re hot & eat them like roll ups. Yes, that is what I did, rested batter and even added extra flour. 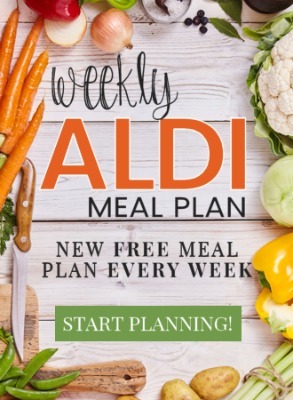 Very, very good, will look for more recipes.